April 19 – Dyslexia Legislation Information Session at BESC – 5:50 pm – 7:00 pm. MAC ATTACK - Friday, April 14. Students need to come with attire and shoes to be active and prepared for weather. We will run rain or shine. Sun has been ordered. We all need some pleasant weather, after our eventful winter:)) Students may bring a water bottle and iPod but need to be responsible for personal property. The outside drinking fountain has been turned on. We welcome anyone to come that would like to cheer our students on during this important community event. Dyslexia Legislation Information Session - Dear PPS Families, please join us April 19, 5:30 - 7:00 at the PPS district office for an information session regarding SB612 Dyslexia Legislation and Portland Public Schools implementation steps. An opportunity for families to network. 5th Grade Play – The Lorax Returns is performed by the 5th grade class on the eve of Earth Day, Friday, April 21 at 10:30 am. There is one show only. 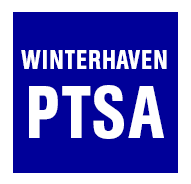 Winterhaven Clothing Drive - Friday April 7-Friday April 21 - Winterhaven is currently running a Clothing Drive to provide clothes to the Portland Council PTA Clothing Center prior to our volunteer date now through April 21.Have you seen the plastic bins located in the front foyer? All of those clothes will be donated to the PTA Clothing Center to serve school-age children and their families in our greater community. Per the Clothing Closet website, please try to provide clean, gently-worn clothes that are appropriate for school attendance. Middle School Electives - Fridays April 28-May 19, 8:30-10:10 AM -The final Middle School Elective session of the year is rapidly approaching. We currently have several great class offerings, thanks to all of you many parents and community members giving our students your time and talents. However, we're putting out a specific ask for someone willing to teach an outdoor elective. Whittling? Kite Making? Rock Climbing? Outdoor Yoga? We'd love to bring in some new classes! There are also a few ready-made ideas (for example, we're still looking for an engineer to build Ms. Dixon a misting-spray tube assembly to cool off runners for next years' MAC Attack) and we have a ready-to-go curriculum for Hunger Games (capture the flag). Please email Barb Fisher (barb@fisherbusiness.net) or Rebekah Folsom (rsatz@yahoo.com) - the kids would be SO grateful to have you! Lost and Found Clean Out – It is time again to check the Lost and Found for any items your family may be missing. We will remove all items from Lost and Found after April 14, 2017. Needed: Empty Paper Towel Rolls – The first grade class is in need of empty paper towel rolls for an upcoming project. These can be brought to the office, or Room 10. Oregon Writing Festival - The Oregon Writing Festival will take place on Saturday, May 6, 2017, at Portland State University. It's an all-day event for students who sign up. It's open to students in grades 4-12, with a registration fee of $35.00. Please e-mail Ms. Tran (atran@pps.net) by Friday, March 10, if your child would like to attend. Thank you! Art4Life - Registration for Art4Life's two summer arts camps is now open! There will be camps in Southeast Portland at Winterhaven and another in Southwest at Maplewood. All kids ages 6 and up are welcome to join the fun! Go to Art4Life.net for more information.